Playing with pretend food is one of Little Dude's favourite activities. Many kids show an interest in cooking and food when they are toddlers and preschoolers. 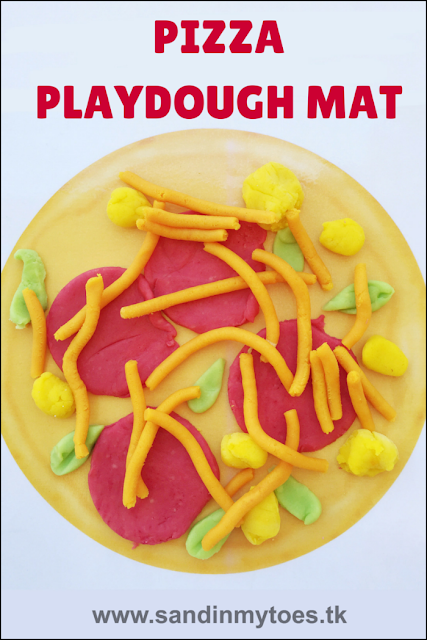 So, I'm sure they'll love making their own pizza toppings with play dough using this play dough mat! 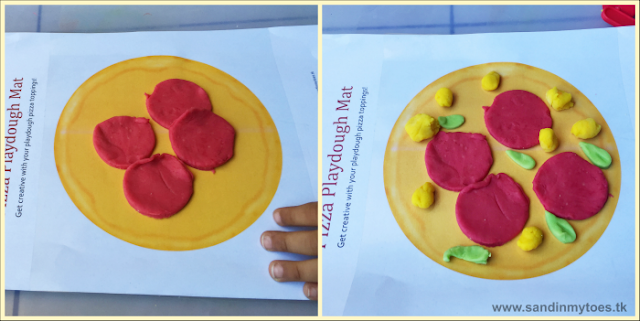 Little Dude first made some play dough pepperoni, added sweet corn, and some (basil) leaves to his pizza. 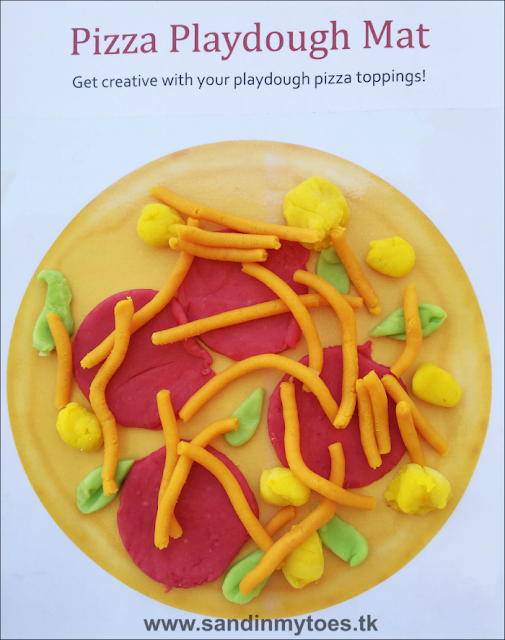 He then topped it up with some cheese made with play dough tools. 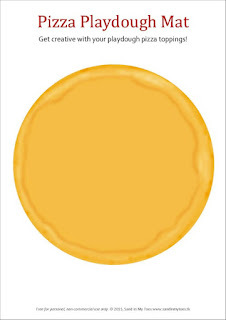 Kids can get really creative with this activity. Download and print the play mat below, and either laminate it, or cover the pizza area with contact paper (self-adhesive clear sheet). 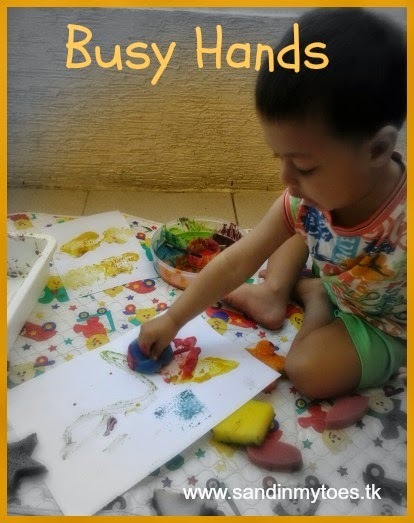 This activity is great for pretend play, improving fine motor skills, and creative play. Once you have clicked on the link, it will open in Google Drive. There is no log-in required. You can either download the printable by clicking on the arrow (for printing later), or print directly by clicking on the print icon. The file is in PDF format, you will have to use Adobe Reader if you are downloading it to open and print later. When you print, make sure your printer's setting is in the A4 Paper Size, Portrait format. If your download doesn't start when you click on the arrow, check if a pop-up has been blocked, and allow it on your browser for Google Drive.